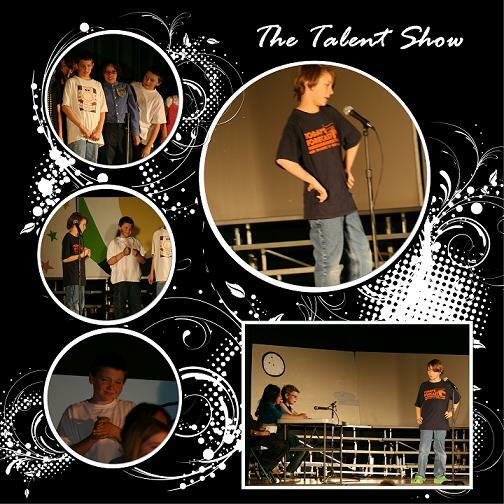 This is a page I did when my sons were in the school musical called Mead Idol. It is always fun to capture grown men expressing themselves in a creative way. Quite often that happens in the form of music. Music paper is easy to find in stores. 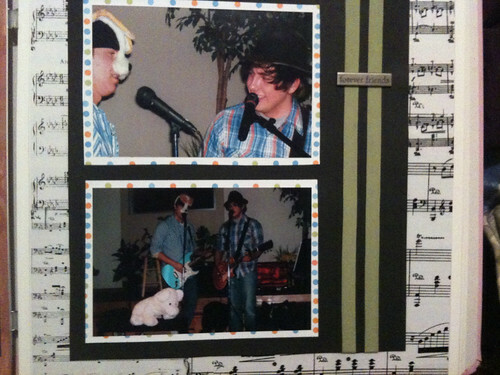 This page is wallpapered with sheet music. Since the sheet music is very busy the photos have been matted to make them stand out from the background. The colors in the matting also bring out the colors in the photo and make them stand out more. This photo was taken on February 15, 2010 using an Apple iPhone.